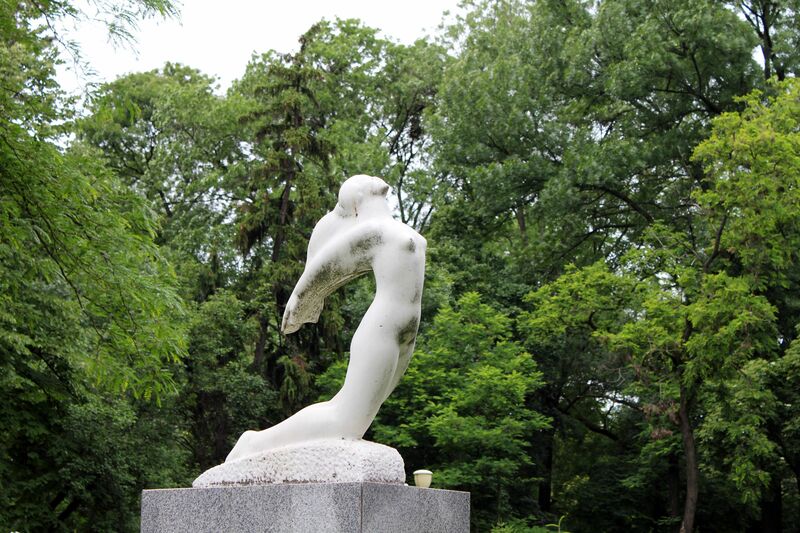 But the first visit to this charming place forces us to re-evaluate our “west-centric” way of seeing the world. Indeed, despite its current “close-to-sorry state of matter” Timisoara clearly demonstrates that for quite long time the city lived its time of stunning glory. Thankfully, the splendor of the past times is still vibrating on the streets of the old town. The first documents making evidence of this place point to the mid-13th Century. At that time this part of today’s Romania was controlled by Hungarian Kingdom. However the real momentum in development of the future town of Timisoara was triggered by the decision of Hungarian king Charles Robert (from the French dynasty of Anjou) who in 1307 ordered construction of the royal castle at the wetlands confined between the Timis and Bega rivers. Over the next eight years the modern royal castle with surrounding fortifications was built by Italian masons. It was protected by defensive walls with tower and moats filled with water. Soon after completion in 1315, King Charles moved there his seat from Buda (today’s Budapest). This decision practically turned Timisoara into the capital of the Hungarian Kingdom. This prestigious status of Timisoara did not last long, just ten years later the capital of Hungary was moved back to Buda. Fortunately Timisoara’s significance did not fade away, the city still played important role and was often visited by successive kings. Moreover, due to the constant expansion of the Ottoman Empire, the fortified castle gained the military importance. So when in 1443 a significant part of the royal palace and its fortifications were destroyed by the powerful earthquake, almost immediately the decision was taken to rebuild the fortress. The construction works of much bigger fortress on the site of the previous castle were carried between 1443 and 1447 at the orders of Janos (John) Hunyadi – a powerful Hungarian statesmen and military figure of Romanian (Wallachian) origins. Over the following centuries the original castle was often damaged by sieges then re-built, expanded, re-constructed gaining its imposing current shape in 1856. Although during the bloody history of Balkans the castle was often changing hands (Ottomans, Habsburgs, but also peasant rebels fighting tyranny of “nobles”), it holds the name of its founder and is known as Hunyadi Castle. Today in the castle’s courtyard, few remains of the original Charles’ castle can be still seen – fragments of old fortifications and surprisingly - still functional original well. The next crucial step largely contributing to the raise and glory of Timisoara was taken in 18th century by then Austrian rulers. For centuries the vast area of Bega-Timis wetlands surrounding Timisoara’s fortified citadel, was an “added value” to the defensive system. With time however and “modernization of arms & war strategies” (sorry, I really dislike this so-called “progress”) the natural defenses like swamps, marshes were rather limiting expansion and prosperity of the city, jeopardizing population’s health than contributing to their safety. No wonder that Habsburg’s decision to drain Bega-Timis wetlands gave new impetus to the development of the modern city of Timisoara. The “fight” with swamps was not an easy task especially at those times. As a result still throughout the 18th and 19th Centuries foundations of many buildings in the city have been raised on oak pillars…. One of the most distinguished governors in the history of Timisoara was Claude Florimund de Mercy. Although born in France, he made his whole military carrier in Austro-Hungarian Imperial Army, reaching the title of Emperor’s field marshal. Nominated by the Emperor as a governor of Timisoara he proved his exceptional skills also as an administrator. 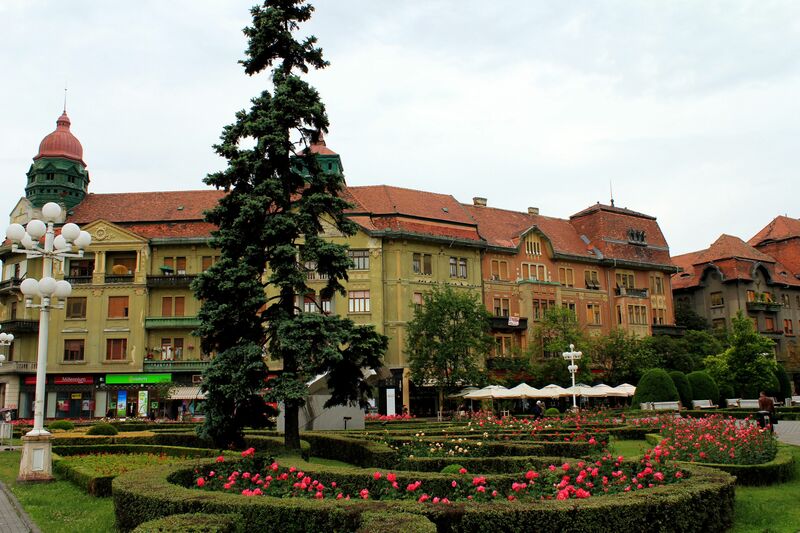 The fact that Timisoara became one of the most beautiful and modern cities in the Habsburg’s Empire was largely due to his visions and efforts. Fortunately his ideas and works inspired also followers allowing the city of Timisoara to flourish for the next few centuries. At the beginning of the 20th century the major part of fortifications was demolished opening more space for the development of the modern city. From today’s perspective, it was quite unfortunate decision; only small part of the old fortification called Therezia Bastion survived till our time. 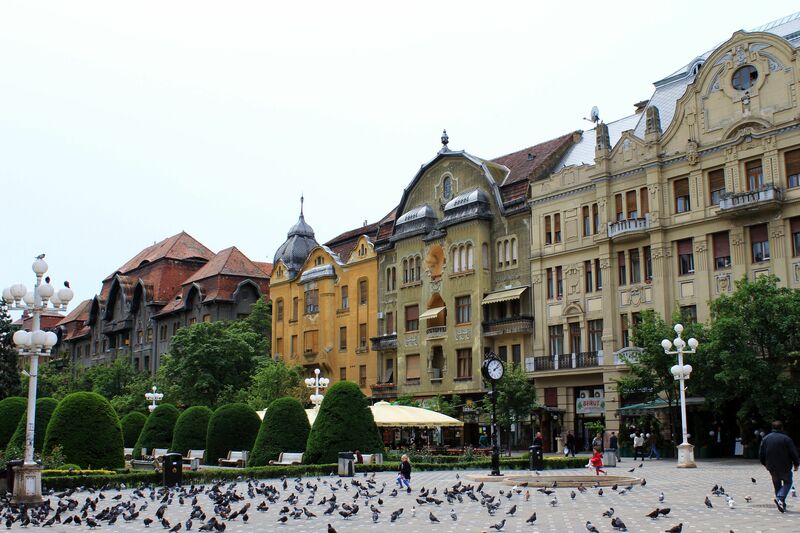 The glorious times of Timisoara are deeply written in the history although they are not well known to the general public. So it is worth to mention that Timisoara was the first European city using gas lamps (1857) to illuminate streets. Not even 30 years later (1884) it was the first city using electricity for streets lighting (actually second in the whole world after NYC). It was also the first European city that introduced horse-drawn trams (1869) replaced in 1899 by electrical ones. Not mentioning that the first municipal hospital opened in Timisoara in 1745; it was 24 years earlier than the similar hospital opened in Vienna and 34 years before one in Budapest. 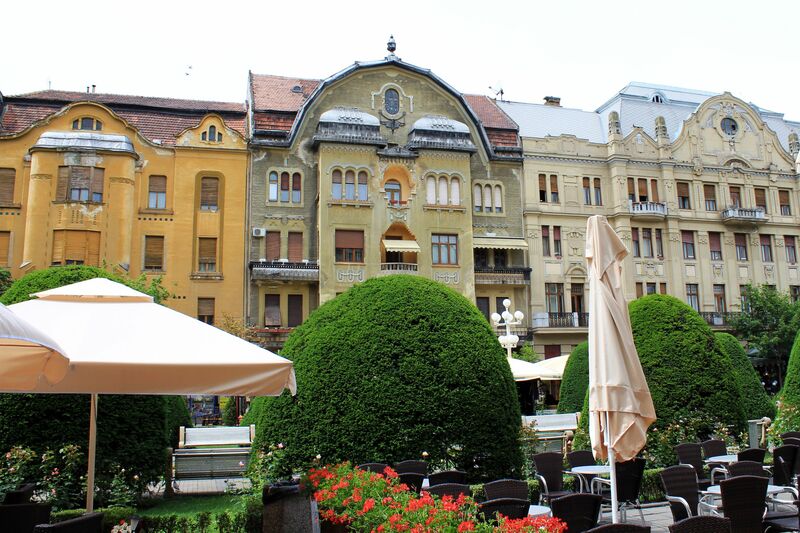 At the time Timisoara was also very vibrant cultural center; it was the 3rd city in Habsburg Empire (after Vienna and Budapest) that opened the permanent theater season. This high cultural status is reflected by the fact that such famous composers like Franz Liszt and Johann Strauss performed here concerts. 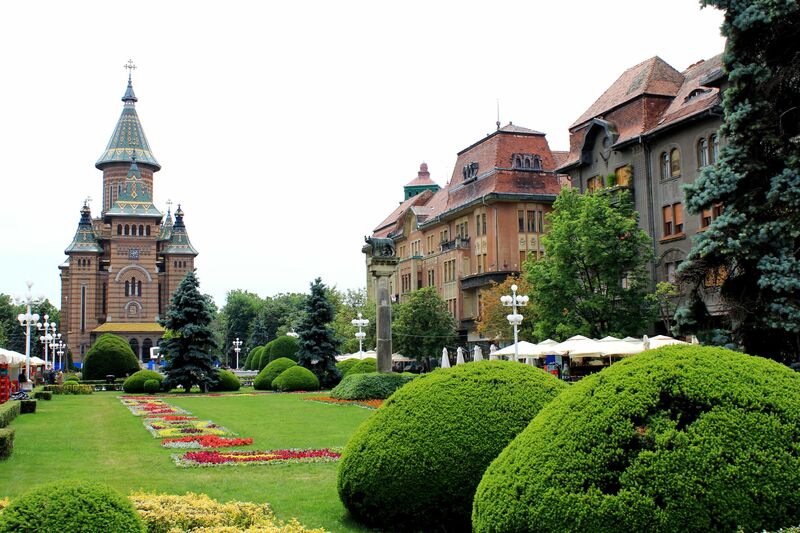 Undeniably the oldest structure in the city of Timisoara is Hunyadi Castle. It represents the best of the Gothic architecture skillfully mixed with the trends of Renaissance. However the most important time in development of the city came at the beginning of 18th century when Timisoara was re-conquered from Turks by Prince Eugene of Savoy. That victory also marked the beginning of Habsburgs’ rules and cultural influence so clearly visible till today along the streets of the old town. One of the first decisions undertaken by rulers of Austro-Hungarian Empire was draining the swamps and regulating the river Bega. These decisions opened the area for construction of the modern city and at the same time offered an important water-route for the transport linking Timisoara via Bega canals, Timis and Danube Rivers with Black Sea. 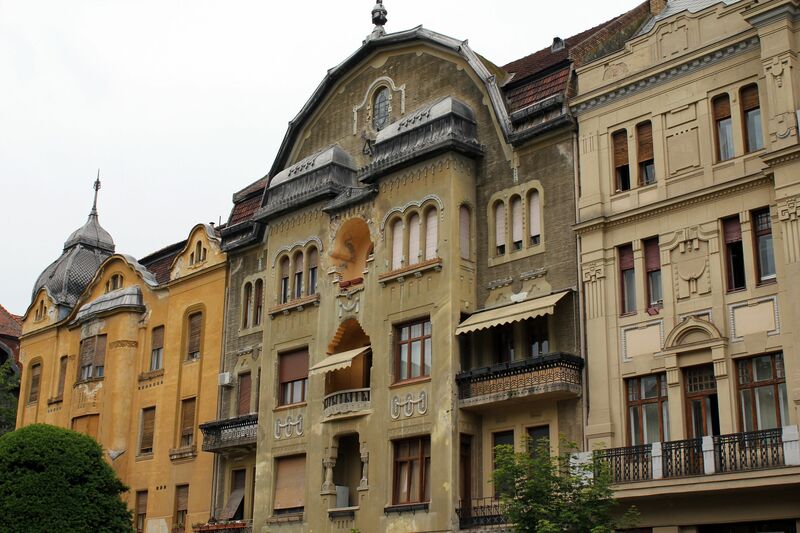 Being built under the strong Viennese cultural influence the old Timisoara represented the most modern trends of the Imperium. No wonder that quite often it is called the “Little-Vienna”. This is one of the three major squares in the old city of Timosoara but probably the most elegant one. Numerous palaces facing the square were built at the beginning of the 20h century. Most of them gained names of their owners, so along the square you will find palaces of Weiss, Lloyd, Neuhaus, Merbl, Dauerbach, Szechenyi, Loffler …. Even these days, they still strike visitors with their architectural beauty, elegance and harmony of styles. The square is closed by the Culture Palace on the north and the Municipal Parks with towering Orthodox Metropolitan Cathedral on the south side. Along you find great municipal buildings like City Hall, Philharmonic. North-eastern side of the square borders the former Royal (Hunyadi) Castle encircled by gardens. Today the castle houses the Museum of History and Natural Science being the part of the larger Banat Museum. 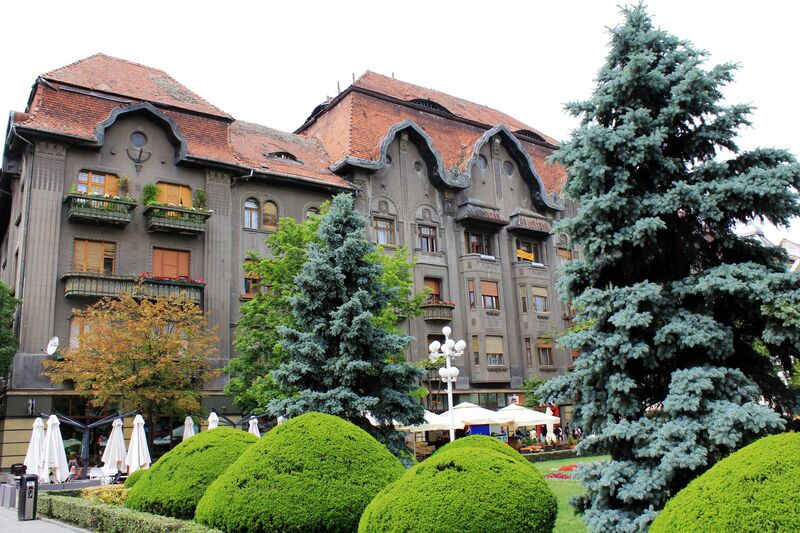 The Dauerbach Palace (named after its owner – Georg Dauerbach) was built in 1913 according to the plan by Hungarian architect Laszlo Szekely (known for few more “Architectural Pearls” in Timisoara). Its noticeably dark façade representing the Viennese Secession style visibly contrasts with buildings lining the square. Since the beginning the palace housed the Palace Café and Restaurant, in the past - one of the most prestigious and elegant places in Timisoara. Another interesting building from the beginning of 20th century is Neuhaus Palace. Its almost perfectly symmetrical façade is crowned by the semicircular pediment with an oval window in the middle. 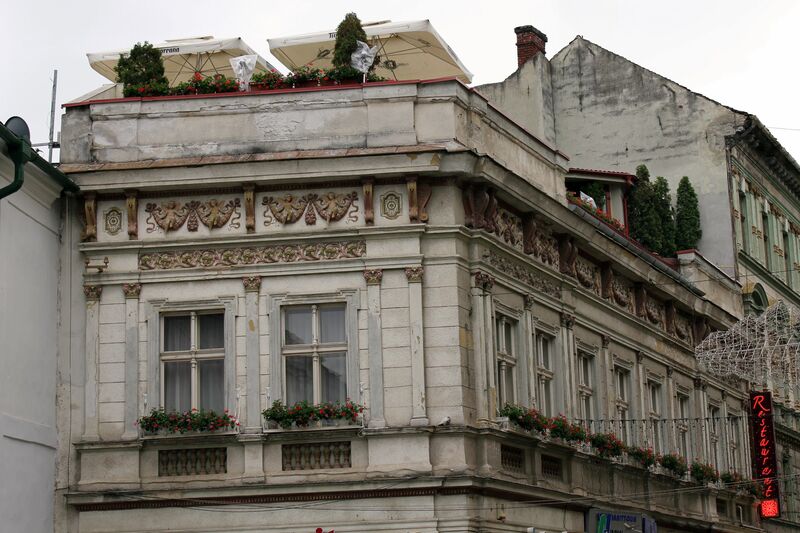 The architecture represents Hungarian Art-Nouveau style and was designed by László Székely. The same architect designed also another “beauty” of the Victory Square - the Szechenyi Palace. The building was built during the years 1900 -1914 and is located at the southern-end of the square. Its corner towers and triangular pediments with rich reliefs beautifully harmonize with facades of palaces lining the east-side of the square. But there is one more architectural catch. Although the Szechenyi Palace is a corner building; it was built with angled main façade instead of traditional 90-degrees one. This allows for “panoramic” views on the square and adjacent boulevard from its windows and “smooth” architectural symmetry for those looking at the angled façade from the square. 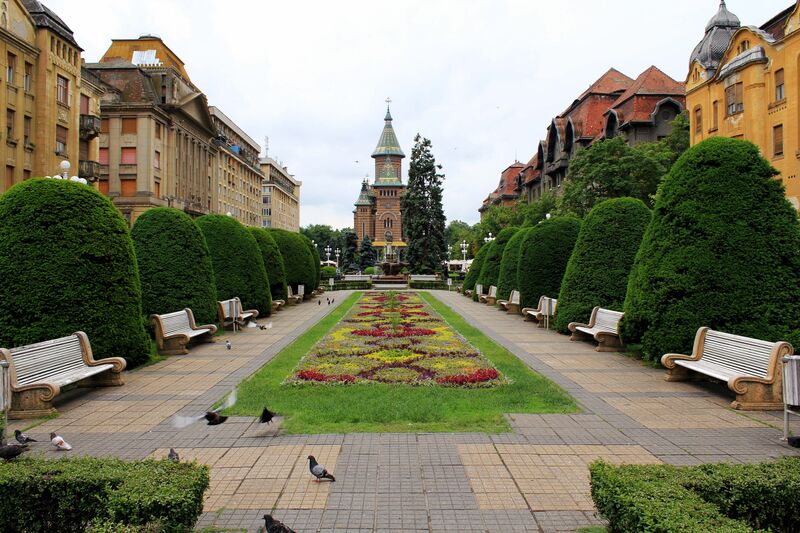 Victory Square: actually it is a big beautiful garden in the very center of the Old Timisoara. Left: On the back visible the Culture Center (Northern part of the square) and (right) the Cathedral (southern end of the square). Cultural Palace built in 1872-75 was designed by famous Viennese architects Fellner & Helmer. It represents the mixture of neo-byzantine and eclectic style. In 1936 the pretentious “Arc-de-Triumph” was added at the main façade farther altering the original architectural design. Today the cultural complex houses Timisoara’s Opera House, “Mihail Eminescu” National Theatre as well as German and Hungarian State Theaters reflecting the tumultuous (and multiethnic) past of the region of Banat. The section of the Victory Square in front of the Culture Palace is covered with stone and known also as Opera Square (“Piata Operei”).